Another quick phone post. 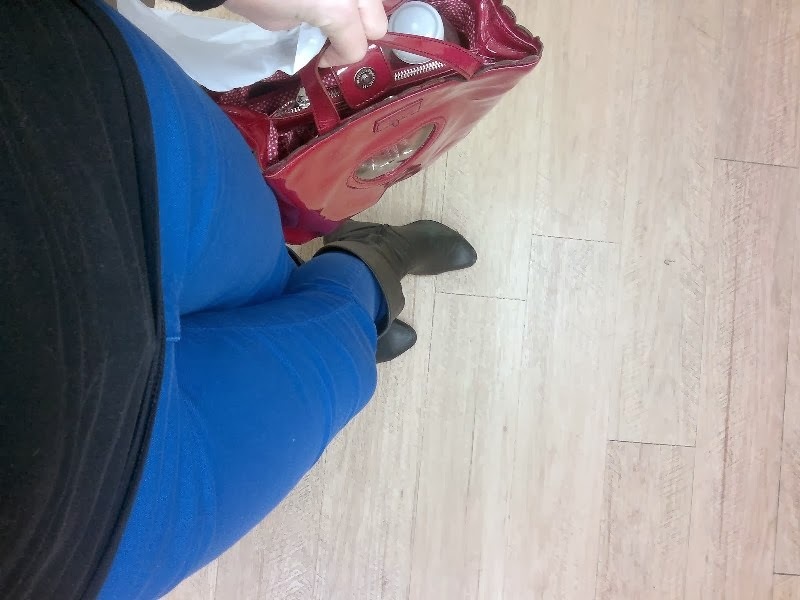 I wore my bright blue jeans again yesterday, this time teamed with a black single/cardi, black boots and a red bag and nails. 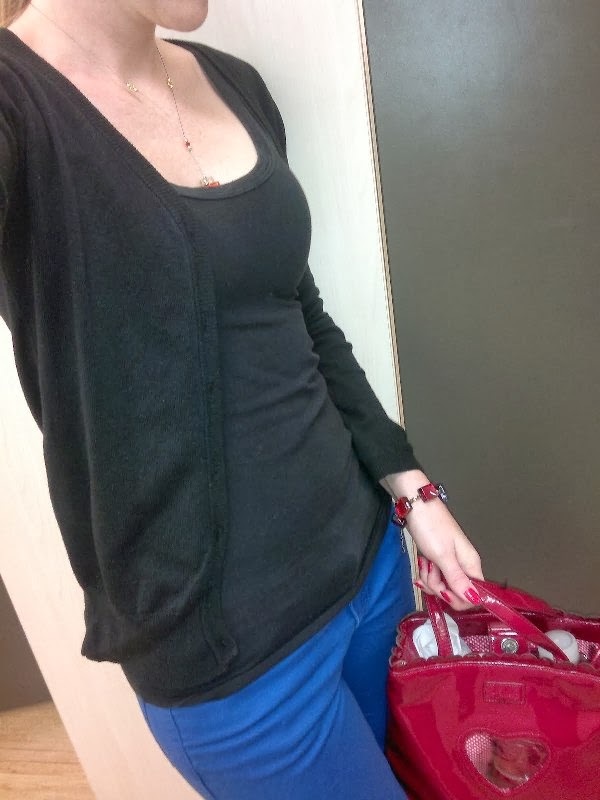 My bag is actually a Harrods one, not the usual grocery bag though, it has pockets and a cut-out heart window.